Capcom's 3DS game, Resident Evil Revelations (not to be confused with Revelaitons) is getting a console port, Capcom announced today. 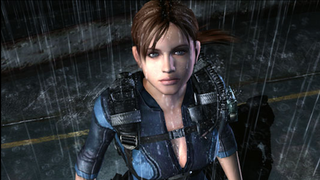 Revelations, a survival horror action game that stars series mainstays Jill Valentine and Chris Redfield, was well received when it hit 3DS early last year. Totilo loved it, calling Revelations "one of the 3DS's most impressive games" in his review. The horror-action game will be out on Xbox 360, PS3, Wii U, and PC on May 21 for $50.